Yes, your heard it right. 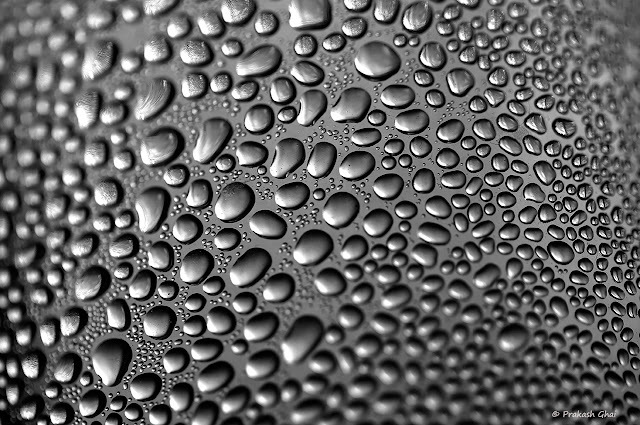 These Water Drops were being formed on the surface of a Empty Soda Bottle, kept near a window in my kitchen. I spotted these and quickly grabbed my Canon 100 mm prime Macro Lens. Since the bottle was near the window, these drops were well lit. 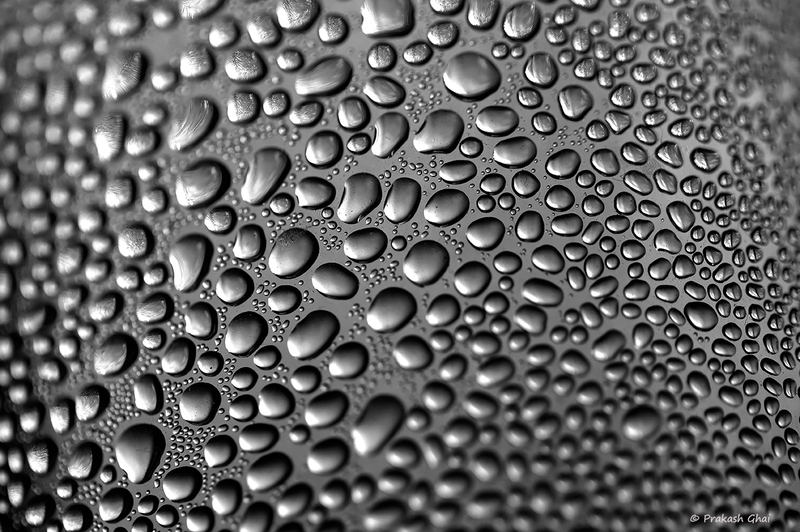 Hope you enjoyed the Water Drops in Black and White Minimalist Photograph.